BCF : The town of Bondy, where soccer star Mbappe was born and raised, has a sad story to tell. The global media are now in Bondy, a small town on the outskirts of Paris in the Seine-Saint-Denis department, where the French soccer star Mbappè was born and raised. But they will not tell you the truth about Bondy. The “Bondy Blog”, which takes its name from the city and is edited there, is one of the greatest ignominies in the history of French journalism and was founded by a Bondy Islamist, Mehdi Meklat, with very “tolerant” ideas. The whites? “They have to die as soon as possible”. Hitler? “Let him in to kill the Jews”. "Until the years 2000-2005, Bondy was beautiful and quiet, with 250-300 Jewish families and synagogues full of Sabbath atmosphere," said Benhamou. "Now there are only a hundred Jewish families left". In 2000 there were 800 faithful in the synagogue for Yom Kippur, today there are 350. In Bondy there was the atrocious assault on two Jewish brothers that finished with a severed finger. The fact that the old France is "gone" was displayed in Moscow at the football world game. Adil Rami, Djibril Sidibé, Benjamin Mendy, Paul Pogba, N'Golo Kanté, Nabil Fekir and Ousmane Dembélé .... of the 7 players of the French national football team, a third are Muslims. 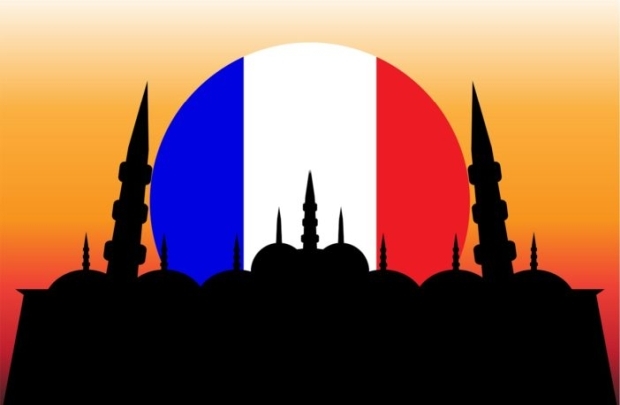 They called it “a victory of multicultural France”. While the newspapers invented their own parallel world, in the French streets you could see scenes of war, fires, beating and looting after the victory at the World Cup (look for photos in Nantes a week ago). The multiculture is not the gala invented by the newspapers, but an "apartheid" phenomenon, as the former Socialist Prime Minister Valls used to call it. I heard that the World Cup is “the victory of the second generation of the suburbs". Yes, just as the Bataclan terrorists who brought France to their knees all came from the suburbs, just like Mbappè.